EDINBURG — UTRGV men’s basketball coach Lew Hill believes in certain schematic principles. Playing at a fast pace and running full-court, man-to-man defense are integral parts of his ideal blueprint. He also believes in putting his team in the best possible position to succeed. Sometimes, that requires compromise. UTRGV played zone on about 90 percent of possessions against Chicago State on Saturday, Hill said, pulling out an 83-75 win at the UTRGV Fieldhouse. The Cougars shot 33.3 percent in the first half and 43.5 percent for the game, but 12 of Chicago State’s points came on the fast break, before UTRGV’s zone had a chance to set. The win moves UTRGV to 15-15 overall and 6-7 in WAC play, snapping a three-game losing skid. The most recent of those losses was 83-59 against UMKC on Thursday. Hill said man-to-man defense was one of the major weaknesses that was exposed during the three-game slide. All three opponents scored more than 80 points, shooting a combined 51.7 percent. Point guard Javon Levi said the zone defense helps UTRGV take away the opponent’s top scorer and shores up the team’s issues defending off the dribble. Chicago State led most of the first 20 minutes before UTRGV launched into a 15-0 run across the halftime break. The Cougars went 6 minutes and 7 seconds without scoring. Chicago State pulled within five points midway through the fourth quarter, but a 10-0 run gave UTRGV a comfortable 70-55 lead with about 5 minutes to play. UTRGV held Chicago State scoreless for 5:02 around the run. UTRGV led by 11 with less than two minutes to play, but Chicago State had one more push left. The Cougars scored seven unanswered points to pull within 76-72 with 47 seconds to play, but the Vaqueros hit 7 of 8 at the free-throw line during the final minute to seal the bounce-back win. UTRGV shot just 28.1 percent during the first half on Saturday before hitting 58.6 percent during the final 20 minutes. Nick Dixon led UTRGV with 23 points, including a 12-of-13 mark at the free-throw line. Levi posted 10 points with nine assists, Terry Winn hauled in 16 rebounds, and Stallworth scored 14 points, all in the second half. 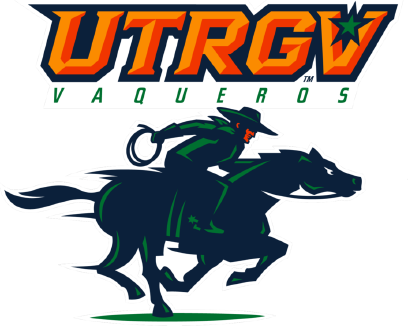 UTRGV closes the regular season when it hosts New Mexico State on Saturday. The WAC Tournament follows on March 8.